Looking for a good live show to check out this Friday, June 17? 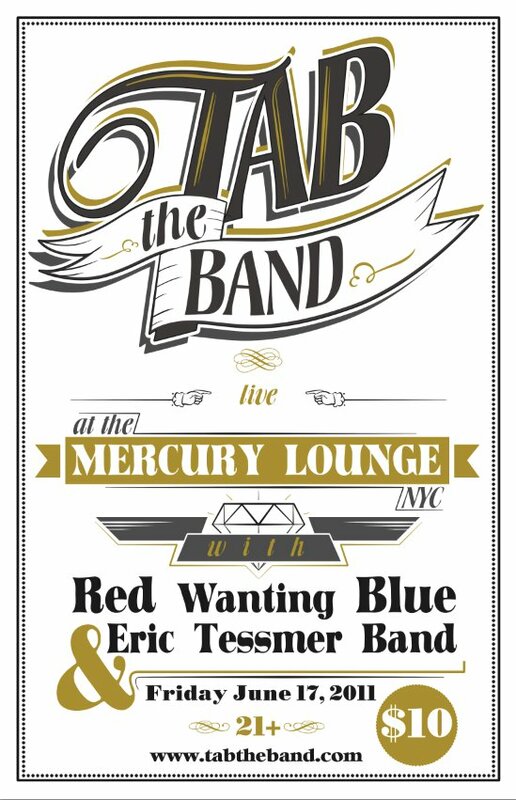 Head on down to Mercury Lounge. 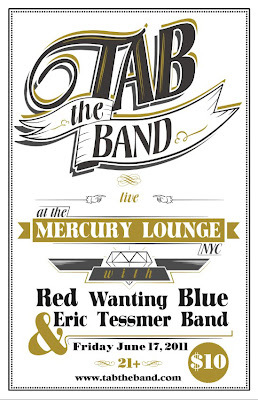 You will catch TAB the Band and bonus music happiness, Red Wanting Blue is also on the bill. Both are terrific fun to see live. Doors are at 6:30PM and it'll cost you $10. See, look, now you have plans for Friday night!